Welp, I'm moving across the country for university (driving 2,500 miles) and only bringing what fits in my sedan. So, if you guys saw anything in my posts (click here for link to posts) that you had interest in buying, shoot me a PM as it may be up for sale. 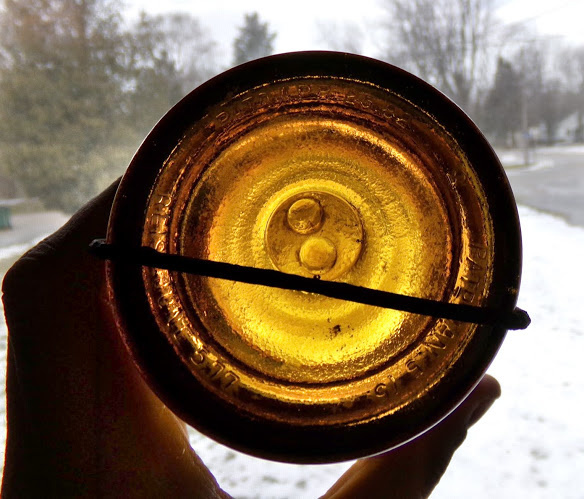 Otherwise, I'll be at the West Michigan bottle show on February 23rd. I just want to get rid of almost all of it, so reasonable offers are all up for consideration. "Help a bruddah out?" Hah hah. Types of items include mostly Muskegon, Michigan, druggists and sodas and beers; some labeled patent medicine bottles; a few bitters and tonics, and a whole lot of insulators that aren't your daily Hemingray 42's. An estate sale for things will be happening in April the week before Easter. You can see stuff that may be for sale, including bottles, on my Collector's Weekly profile (click here). PM me here for a head start if you want. Antique (100 years or older) clocks, coins, fans, porcelain, phones, paper, cameras, electronics, etc. It's kinda awkward, though, doing my own estate sale. Item link.^ Pre-Pro Western tray. Link. 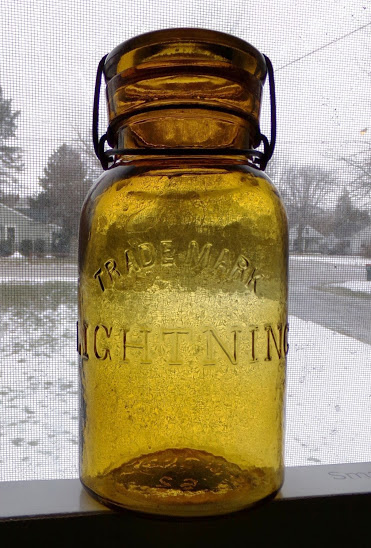 ^ 1880s screaming yellow lightning jar. Item link. ^ Includes Anchor Bitters. 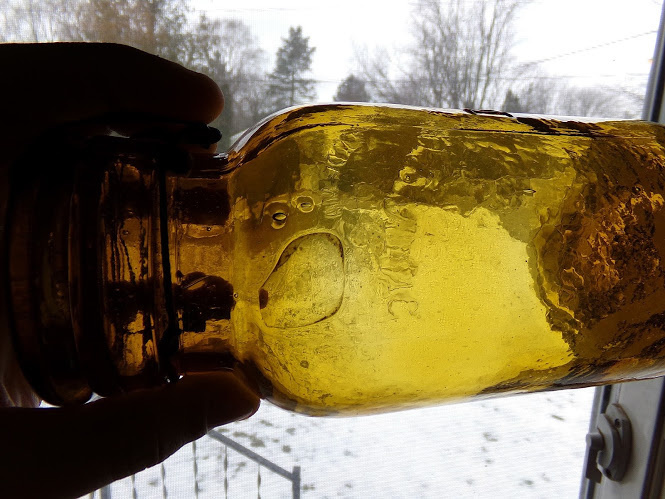 Link.^ Scarce "scroll" bottle, Fred Wolff, Philadelphia. Link. ^ 1880s labeled Guinness. Some of these are kept or already gone, but it's an example. Small portion of druggist collection. I'll be selling the locals mostly at the bottle show but threw a reference up here as well. Bottles from other cities, though, like the ones below, don't sell well in my area unless they're "national" bottles like bitters and such, as most bottles attract interest by people who live(d) in the cities they're associated with, or are at "national" shows where people will drive 1,000 miles to attend. The insulators will be an easy sale for me as they're all 2, 5, 10, and 15 bucks. They'll go fast at the show and estate sale. Some of the paper labels are pontiled bottles. They sell pretty well. That lightning jar is awesome. the bottle with the SP. do you know what that is? You have a really nice collection, Spirit Bear. It's a shame you have to part with it. A few things I wouldn't mind having, but the cost of international shipping and currency conversion would most likely be prohibitive. Yacorie, thank you. It is still available, if interested. Click hyper-links for more photos: Photo one, photo two, photo three, photo four. 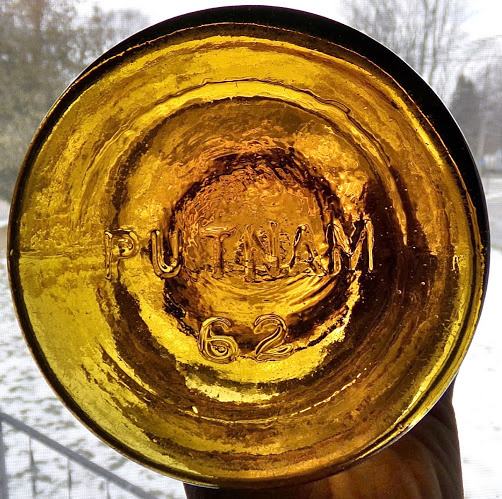 From the patent and when the glass-maker of this example went out of business, it dates from 1882-1886. Ken_Riser, I'm afraid that I have no fishing-related items left. I do, though, have numerous wooden case-clocks, some alarm clocks, and a few fans. The fans I have aren't nearly so old. The oldest one is circa 1916. So, here are a few of the clocks-- click the hyperlinks to visit their pages: 1886 Ansonia "Werra", antique musical alarm carriage clock, c. 1903 Sessions gingerbread clock, c. 1880s Gilbert with spider and gothic theme, 1895 New Haven "Dandy Line", early 1900s Seikosha 'school clock', c. 1890s-1910s German mini alarm clock, . If you do electric clocks, I have some as well, like a 1930s 'cathedral' style alarm clock. If you want oddities, then a 1919 time stamp still keeps perfect time. As for the radio, only one I have photos of, which is also the oldest though I can't find anything on it. Bottle Dragon, like what items? I'm not looking for full retail value on them. I'm just looking to get some money for university and fixing my car. Stuff comes and goes. It's not too concerning to me what happens to it. Last edited by TROG; 02-11-2019 at 08:46 AM. I'm afraid that the one I have is a reproduction of a bear's grease from England.